Are we alone in the universe? This question is asked daily by billions of people all over the world and there are many scientists who dedicate their lives to trying to answer this question that has persecuted humanity since the beginning of its history. Despite this, we have not yet made an “official” contact with the aliens, although many researchers and conspirators are convinced that contacts with beings from other worlds have existed in the past and are classified under the heading Cosmic Top Secret. Most of the ET races that have come into contact or otherwise have interacted in some way with humans are described similar to humans. Perhaps they are human beings themselves, do the extraterrestrials that we are waiting for? Although it seems folly, there are theories that point to the human being, in reality, travelers of a future that awaits us. Surely it will not touch us, but within thousands of years there will be people who can travel in time and “start” the civilization, thus creating a cyclical history of the life of humanity. This is what the microbiologist Dan Burisch thinks, who worked on the already legendary ultra secret base “Area 51”. Interviewed by the mystery program, “Project Camelot”, in June 2007, the expert talked about everything about the secret time travel technologies in which the United States manages the Majestic-12 group. This body was created by President Harry Truman after the Roswell UFO Crash incident and whose mission is to study objects of extraterrestrial origin that have fallen into the hands of the US government. The cellular life expert Dan Burisch said that while he was working in Area 51, he learned many things that people do not know, not just alien beings or races other than us and their respective starships, but also travel to other worlds through what are called “stellar portals” or “stargate”. 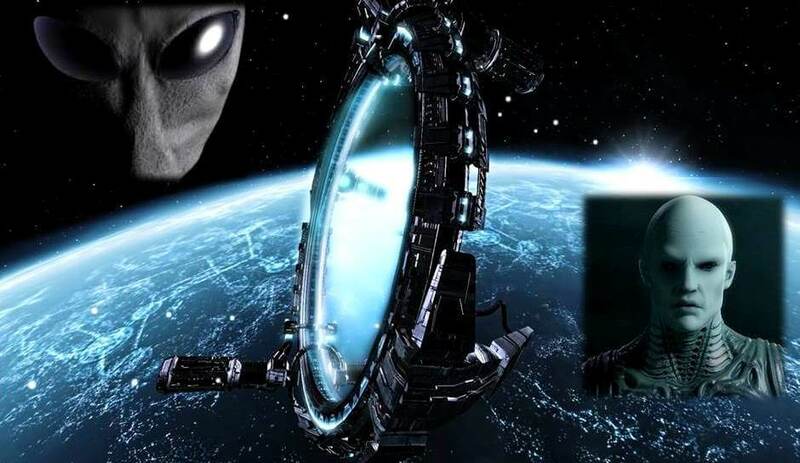 Just like the science fiction series of the same name, the soldiers and scientists of the United States have developed the technology of the Stargates and crossed these portals several times and have already established contact with other alien civilizations. Burisch says there are at least 50 Stargate or Portals scattered across the planet and that are controlled by several countries. These portals would be of three types; the former are the “yellow book”, which allow the user to see their own future. The second type are Wormholes of natural origin; they are located at specific points on our planet and allow people and objects to be transported to other planets or stars. The third type are Portals of human creation; the Majestic 12 group would have built several of these Stargates in the “Looking Glass” project and would be used in combination with the “Yellow Book” to see the future. According to Burisch, UFOs are not alien spacecraft, but time travelers and are divided into three groups, P-45, P-52 and P-52 Orion. The first group (P-45) are the human beings that come from 45,000 years in the future, the second (P-52) are the human beings that come from 52,000 years in the future, and the third group (P-52 Orion) arrives even from 52,000 years in the future, but it is a different evolution of the human race coming from the constellation of Orion, so this third group seems very different from the other two. According to Burisch, it is not known at what point in history P-52-Orion humanity has separated itself from the main human branch. Burisch also states that the future is not fixed, which changes according to the evolution of the present, because the “Stargates” provide visions that are changing. From there, a supercomputer network analyzes this information and determines the probabilities of each of the TIME LINEs related to the possible future. The most surprising revelation by Burisch is that, at some point in the future, a great catastrophe will occur that will kill millions of people (as Dan Burisch says would be 4 billion and 500 million people). However, he did not specify any details about what tragedy of proportions will be or when it will happen. However, this tragedy is described in the Aztec Stone of the Sun in which we speak of the 5th Age (the current one) in which there will be a Cosmic Tragedy. UFOs are suddenly a serious news story. You can thank the guy from Blink-182 for that.